For the majority of people, the medical provider they have to see more than any other is their general dentist. This is mostly because general dentistry focuses heavily on prevention rather than restoration (or at least if they can help it), ensuring that your teeth are healthy and able to work the way they are meant to over the coming years. In fact, it is estimated that nearly 65 percent of all dental procedures performed by dentists are preventative. This is why people are told to see their dentist annually, if not more, in order to make sure your teeth and your gums are remaining healthy. By making sure that oral hygiene plays an important role in your life, you can do what is required to have the healthiest smile possible. 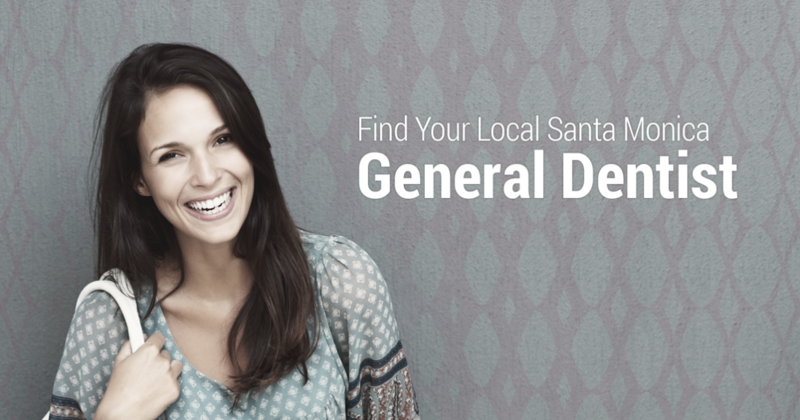 What Do General Dentists Do? 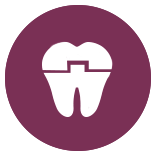 General dentists are the main providers of dental care for people of all ages. This means that you can have your teeth treated at the same time that your children have theirs. And there is no excuse to skip seeing your general dentist. Of an estimated 143,000 dentists practicing in North America, it is estimated that nearly 80 percent of them are general dentists, giving you to pick of the litter truly. At Brightleaf Dental, we are a highly regarded dental office that provides the best in general dentistry procedures and more. Check out what your new Santa Monica dentist can do for you when you stop into our office! 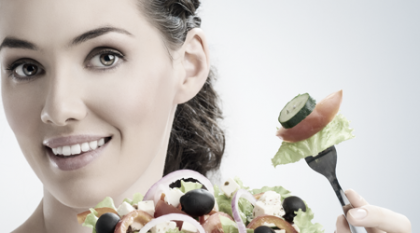 These types of services help you to maintain good oral health overall. This is meant to stop diseases from when they begin to progress and threaten the overall health of your teeth. By having regular exams and diagnostic imaging procedures like x-rays, as well as professional deep cleanings, you can have complete control over the health of your smile. Your dentist can also give you plenty of advice as to how you can take care of your teeth when you are in between dental appointments. When there are issues with your teeth, your general dentist is here to help! Not only can your dentist easily identify when there are issues with your teeth, but they can also make it so that you get a treatment that is both appropriate and timely. For the most part, the most common dental restorative procedure that a general dentist provides involves removing tooth decay and placing a filling the tooth that was affected. 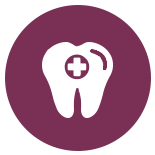 Additionally, restorative care can be needed when a person breaks, chips, or cracks on of their teeth. General dentists are also capable of diagnosing periodontal disease (gum disease). While you may not be aware of it, your oral health can be seen as a mirror of your overall health. Some of the dental issues you might have could indicate that there are problems in other parts of your body and vice versa. For instance, if someone has diabetes and they are not treating oral infections, this could lead to their overall condition worsening. Additionally, general dentists can also provide other services to their patients such as nutritional counseling, advice on tobacco cessation, and much more. Your initial oral examination includes a number of different steps. 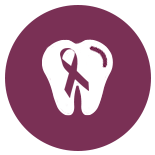 These include a visual examination of your mouth, charting, periodontal probing, diagnosis, and treatment recommendations, as well as an oral cancer screening. 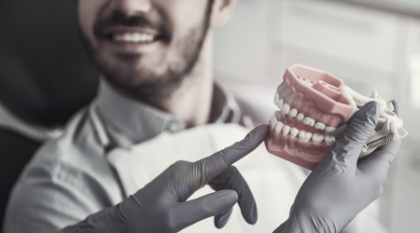 Your general dentist will also take digital x-rays including a panoramic x-ray so that they can properly diagnose your anterior and posterior teeth if they are suffering from decay. These are the preliminary steps to having the healthiest smile and gums possible. Without having a dental exam and deep cleaning at least once a year, you will be putting your oral health in extreme danger. When your dentist is performing your regular exam and screening, they will also perform an oral cancer screening for good measure. These screenings are important because in almost all cases, oral cancer can be treated when it is caught in an early stage. Your dentist can check for signs of oral cancer by looking for any discoloration or sores while looking inside your mouth. They will also feel around your mouth for any tissues that may be lumpy or feel abnormal. If there are any abnormalities found, a sample will be sent to the lab for testing. Crowning a tooth, also known as capping a tooth, is something that normally takes two to three visits to your dental office to fix. When you first show up for this procedure, your tooth will be prepared to receive its new crown by it being shaped to fit inside the new covering that will be placed over it. Once the tooth is prepared, your dentist will then take impressions of your teeth either digitally or with putty-like impression materials. These impressions will then be sent to the dental lab. There, technicians will make models of your teeth in order to create the crown properly. This step is imperative, otherwise, your crown may not be able to enhance your smile and the function of your bite in the way it should. Before you leave the office, your dentist will attach a temporary crown to your tooth in order to protect it until there is a permanent crown that can be put on it. 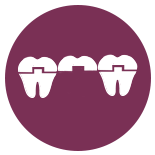 Crowns are also able to be used in order to create a lifelike replacement for more than one missing tooth. This is completed with something known as ‘bridgework’ and requires that there be at least three crowns needed in the patient’s mouth. Two crowns will be placed over healthy teeth (also known as the abutment teeth) on either side of the missing tooth or teeth. These teeth will act as the support needed to make your new tooth strong and reliable. 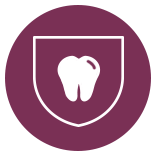 The number of abutment teeth necessary to replace missing teeth will vary, however, depending on the number of teeth that are missing, the size and length of the abutment tooth roots, and the amount of bone support that each of the abutment teeth has. 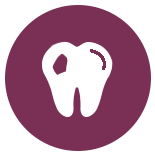 Additionally, the location of the missing teeth in the mouth can lead to multiple abutment teeth being needed. Modern dental implants have been used for over 30 years in the dental world and they are the strongest devices that are available for supporting replacement teeth. If you don’t know what dental implants are, we would describe them as being artificial tooth roots, that come in the shape of screws. When these “roots” are placed in your jawbone, they will bond to the natural bone over time, making them a sturdy base to which artificial teeth can be attached. If you are missing teeth, opting to get dental implants is likely a wonderful choice for you. Sometimes teeth have to be extracted for a number of reasons. 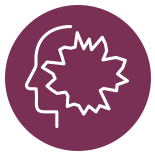 For some, it is because of decay, while for others it happens due to trauma or a disease. While the word “extraction” may sound incredibly intimidating, all it means is that you are having a tooth pulled. When you do have a tooth removed, however, you can expect that there are going to be natural changes that occur in your mouth afterward. This is why it is extremely important that you make sure you follow the instructions that your dentist gives you after the procedure is complete. If you don’t you could be looking at additional dental surgeries in the future. 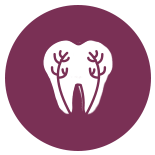 While crowns are what is necessary in the case of serious tooth decay, a dental filling is what dentists use to restore teeth that have a small amount of damage. When you get a filling, the decayed tooth material is removed. The tooth is then cleaned and filled so that is can work properly once again. The tooth is always filled with a composite resin that is used because it looks like natural teeth, amalgam, porcelain, or gold. Root canals are some of the most common procedures that dentists perform. They can help to save you from having to have your tooth extracted, which is preferred by nearly all dentists. While your teeth are meant to last a lifetime, there are many things that can cause them to become less healthy over time. Not to mention, people sustain injuries to their teeth all the time. However, rather than pulling the tooth and having to have a crown put in, a root canal allows of r your dentist to save the tooth and help you to maintain a smile that is authentic and strong. When a root canal is completed, the dental pulp is removed from your tooth in order to prevent further pain and sensitivity. A temporary filling is then placed in the tooth until the tooth has healed and a real filling or crown can take the temporary one’s place. While brushing and flossing are extremely useful ways to ensure that you are not getting cavities in your teeth, it isn’t always easy to clean every nook and cranny of your teeth, especially when it comes to your molars. 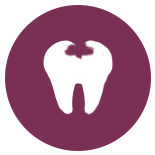 Since molars are rough and uneven, it is very easy for leftover food and cavity-causing bacteria to hide there. In order to give your teeth an even better chance of remaining healthy, you can choose to have sealants put on these back teeth. Sealants are a thin, protective coating that adheres to the chewing surface of your back teeth in order to prevent debris from building up on them. In fact, sealants have been shown to reduce the risk of decay by 80 percent in molars. Sealants are especially popular for children as they are pain-free and severely lower the chance of a child getting a cavity in one or more of their molars. Many patients come to their dentist complaining of frequent headaches, jaw aches, and facial pain. While these symptoms might come with other conditions, they are also tell-tale signs that someone might be suffering from Temporomandibular Joint Disorder, also known as TMJ or TMD. This condition is one of the jaws and can make chewing and talking extremely painful for those who deal with it. There are several ways TMJ could be managed when you ask for the assistance of your dentist. The success of the treatment you choose, however, entirely depends on the treatment plan you and your dental provider come up with. As each person’s case is different, you may even have to try several different things before you find something that works for your particular TMJ symptoms. Regardless of what sort of jaw pain you are experiencing, we can help you to soothe them at Brightleaf Dental. General dentists are also extremely helpful when it comes to helping you to understand how you can best prevent tooth decay from occurring in the first place. 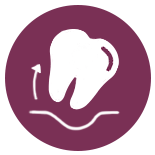 As dental professionals, we can help you to make a plan for caring for your teeth and gums moving forward, regardless of the issues you have experienced in the past. Whether it be more vigilant brushing, flossing, or something else, your oral health is our first priority and we will go above and beyond to ensure you have the absolute healthiest smile possible in the future. When Should You Visit Your Santa Monica Dentist? any of your oral health concerns. Call us right now to make an appointment at our Santa Monica dental office.